Pioneering technology leader ABB has officially commissioned its new advanced innovation and manufacturing hub in Xiamen, China. Located in the city’s Torch Hi-Tech Industrial Park, the $300 million site integrates the full value chain of ABB’s activities, including R&D, engineering, manufacturing, sales and service, as well as supply chain management and corporate functions. The facility will house one of ABB’s largest R&D centres for low-voltage electrical systems, a 1,200kV ultra-high voltage test lab – the highest voltage level in China – and the company’s first digitally connected remote service centre in China. ABB CEO Ulrich Spiesshofer said the new ABB Xiamen Hub will focus primarily on the development and manufacturing of products and solutions for the company’s Electrification Products and Power Grids divisions. 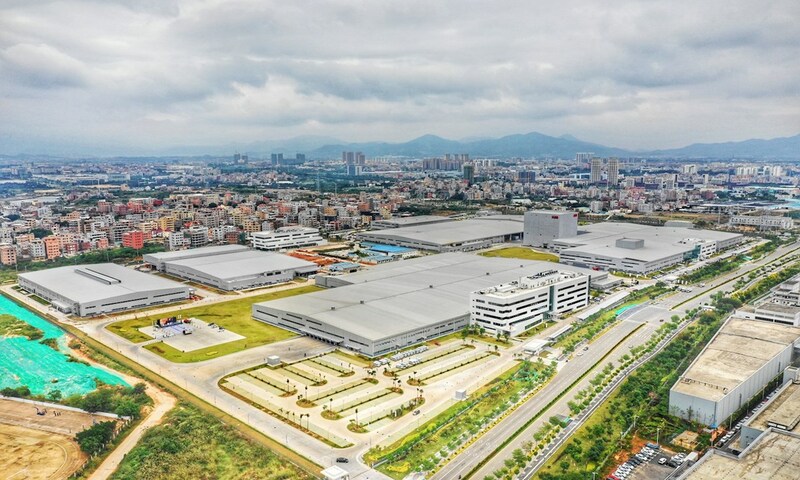 “The Xiamen Hub is ABB’s largest and one of our most advanced manufacturing sites, and it demonstrates the potential of Industry 4.0 on our own premises. It is designed to provide state-of-the-art solutions and services for our customers in China as well as enterprises active in China’s Belt-and-Road Initiative,” Mr Spiesshofer said. The inauguration ceremony of the Xiamen Hub was attended by Pei Jinjia, Secretary of the Communist Party of China Xiamen Municipal Committee, ABB customers from the utility, industry, and transport & infrastructure sectors, and ABB Group and local management. Chunyuan Gu, President of ABB’s Asia, Middle East and Africa region, said ABB will host a major customer event this week at the Xiamen International Conference and Exhibition Centre to acknowledge the city’s central role in ABB’s Chinese operations. “Xiamen has long been one of the most important industrial bases for ABB in China and globally,” Mr Gu said.